If you're in the market for an upscale sedan but have had concerns about balancing your interest in hybrid technology with your desire for the refinement, quality and performance of a Lexus, the GS 450h just may be for you. At approximately $59,000, consumers may find their interests in hybrids sated by more affordable models. Or the hybrid's added cost may make conventional alternatives (like the equally-sporty GS 460) more attractive. The GS 450h's dual-mode battery packaging also eats into the vehicle's trunk capacity: The resulting space is just over half that of the gasoline-powered GS 460. For 2011, drivers who forego the optional Navigation Package will receive a compass-equipped inside rearview mirror. Supple leather, brushed aluminum and beautifully polished woods decorate the 2011 Lexus GS 450h's well-organized and luxuriously appointed cabin. The interior of the hybrid shares the outstanding fit and finish of the conventional GS models, with its gauges including a kilowatt-use meter and a supplemental power-flow display in place of a tachometer. The basic controls are well-placed for the driver and supplemented by a drop-down panel on the dash that hides switching for lesser-used functions. Well-formed and supportive power front seats are paired with a semi-bucketed rear bench with head and legroom sufficient for two adults, but the center spot is strictly for smaller children. The design changes made to the 2010 GS 450h have carried over into the 2011 model. The hybrid's low, wide stance and aggressive front fascia treatment make it a standout among even the high-end luxury sedans in its class. The well-proportioned windshield provides good outward visibility while the bi-xenon HID headlamps and quick-responding LED taillamps make it easier to see and be seen regardless of time of day or conditions. The GS 450h comes with the same Z-rated 245/40 performance tires on 18-inch alloy wheels as the GS 460, with the option of like-sized all-season run-flat tires. Comfortable and surprisingly quick, the 2011 Lexus GS 450h's blend of the conventional and the forward-thinking makes it an excellent all-around performer. The electric portion of the GS450h's hybrid system develops maximum torque at zero rpm; this electric "boost" imparts a GS 460-like V8 feel to the GS 450h while its V6 seamlessly stops and starts as necessary to help save fuel. While the suspension tuning trades a bit of edge in return for all-around comfort, this heaviest GS model also boasts the best overall weight distribution and the optional Active Power Stabilizer Suspension System does a great job of keeping body roll in check during cornering. The GS 450h's electronically-assisted variable power steering and the energy-regenerating circuitry of its ABS disc brakes may feel slightly artificial, but the former is quick and precise; the latter reassuringly capable. The 2011 Lexus GS 450h's hybrid technology makes it the most expensive model in the GS lineup, with a Manufacturer's Suggested Retail Price (MSRP) starting around $59,000. Although it's priced around $4,000 above the GS 460, the Hybrid's attractive slate of standard equipment narrows that gap a bit in terms of absolute value and should keep it in consideration for buyers contemplating alternatives such as the Audi A6, BMW 550i, Infiniti M45, Jaguar XJ8 and Mercedes-Benz E550. As hybrid technology evolves, the GS 450h's residual value percentage is projected to fall slightly below all other members of its family, as well as some of its other conventional competitors. For those in the market for Lexus-level luxury, the GS 450h offers features to please the most discriminating buyer. Beyond the hybrid powertrain, you'll find leather-covered, heated and ventilated 10-way power front seats, SmartAccess keyless locking and starting, dual-zone automatic climate control, a 10-speaker AM/FM/CD/MP3 audio system, Bluetooth wireless telephone technology, a seven-inch multifunction display screen, an advanced anti-lock brake package, driver-selectable Vehicle Dynamics Integrated Management system (including stability and traction controls) and front, front-side, side-impact and knee airbags. The GS 450h has the same Adaptive Variable Suspension and the corner-following Adaptive Front Lighting System (AFS) found on the GS 460, but adds headlamp washers and Intuitive Parking Assist. The list of options on the GS 450h is fairly short, including a 330-watt Mark Levinson Premium Sound System, a DVD-based voice-activated navigation system and the Lexus Pre-Collision System (PCS) with Dynamic Radar Cruise Control. Other single items of note include computer-controlled Active Power Stabilizer Suspension System, all-season run-flat tires, a rear back-up camera and a rear spoiler. There are three options (Golden Bird's-Eye Maple, Red Walnut and Dark Grey Bird's-Eye Maple) for the interior wood trim, dependent on which color interior the driver chooses. This version of the basic Toyota dual-mode theme mates a smooth 3.5-liter V6 to high-torque electric motors and a continuously-variable automatic transmission to deliver quicker acceleration and better fuel economy numbers than the V8-powered GS 460. Affording an even cleaner look to the already elegantly ergonomic cabin of the GS, a concealed panel on the left side of the dash houses a bank of power switches for several items, including the outside mirrors, rear sunshade, instrument illumination levels and odometer resets. The 2011 Lexus GS 450h's Hybrid Synergy Drive package teams a 3.5-liter V6 engine producing 292 horsepower and 267 pound-feet of torque with two electric motors: One is a dedicated generator/starter unit and the other supplies extra drive force for the rear wheels. The electronically-controlled Continuously Variable Transmission (ECVT) creates six "virtual" gear-ratios with the lever in its "Sport" gate. Like most hybrids on the road today, the GS 450h can run in pure electric mode at lower speeds and recharges its battery energy while coasting or braking. In the case of the GS 450h, the system's combined effective output of 340 horsepower gives it a claimed acceleration from zero to 60 miles per hour of 5.2 seconds, which would make it even quicker than the 189-pound-lighter V8-powered GS 460. The EPA fuel economy figures of 22 mpg city/25 mpg highway may seem modest compared to other hybrids, but those numbers top those of the GS 460 and establish the GS 450h as an efficient city-cruiser with legs for the highway. Lexus' hybrid version of its GS Sedan was originally released as a 2007 model and received some tweaking for the 2010 model year. The GS 450h has proven to be even more forward-thinking than Lexus might have hoped; it continues to own its specific sub-segment outright, with only rumors of hybrid sport sedans on the horizon. Lexus positions the GS 450h as competing with many of the same cars as the standard GS 460, namely up-line versions of the Audi A6, BMW 5 Series, Infiniti M and Mercedes-Benz E-Class. The GS 450h manages not only to be a threat, but to churn out the performance of a 4.5-liter V8 drivetrain while producing 80-percent lower emissions and offering completely silent operation in all-electric mode. 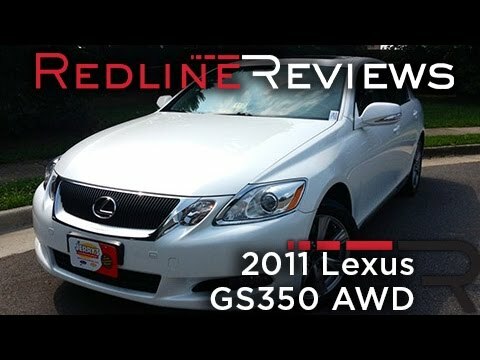 Lexus the performance is awesome very dependable over all it is an great car. Problems -no problem at all. Performance -over all great performance. Reliability - really awesome. Comfort - very. Features- heated seats, sense when it rain then clean the windows.